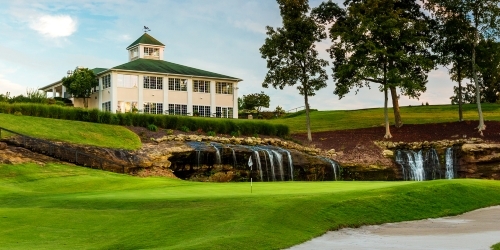 Jasper - Southern Indiana Stay and Play Golf Package - Days Inn Stay & Play! Ranked the #1 Days Inn in the state of Indiana, this 84-room hotel is located next to the Jasper 8 Theatres, the Jasper Riverwalk, and only 1.4 mi from Buffalo Trace, 2.8 mi from Sultan's Run, and 24.4 mi from Christmas Lake. "Great Wall," a sit-down Chinese restaurant, is on premises. Features include meeting/banquet rooms, exercise room, outdoor pool, complimentary hot breakfast, and laundry facilities. Rooms have been recently renovated and include queen-size beds, in-room high speed internet, hairdryer, coffee maker, and free premium channels. Jasper - Southern Indiana reserves the right to change price and offer at anytime. Prices and offer are subject to change without notice. GolfTrips.com is not responsible for errors posted in this golf package.